Over the long course of Russian history, perhaps no aspect of the giant country has generated interest quite like Siberia, the easternmost part of Russia that lies in Asia. Generally speaking, all that is widely known about Siberia is that it is really big and really cold, which, to be fair, are good starting points for a deeper exploration of this fascinating region. Despite making up nearly 66 percent of the country, Siberia is inhabited by only 40 million people, making it one of the most sparsely populated places on the planet. Given its brutal climate and the strategic depth offered by the region, it should perhaps come as no surprise that the region is best known today for being the location where political prisoners were sent to the infamous Russian labor camps. One of the most idiosyncratic horrors of Soviet Russia was the Gulag system, an extensive network of forced labor and concentration camps. Part of the rationale behind this system was that it could serve as slave labor in the drive for industrialization while also serving as a form of punishment. The name Gulag is in fact an acronym, approximating to “Main Administration of Camps” (in Russian: Glavnoe Upravlenie Lagerei) and operated by the Soviet Union’s Ministry of the Interior. Though it’s often forgotten today, in many respects the Gulags represented a continuation (albeit a more far-reaching version) of the kind of punishment meted out during the Russian Empire under the Romanov dynasty, which was overthrown in 1917. 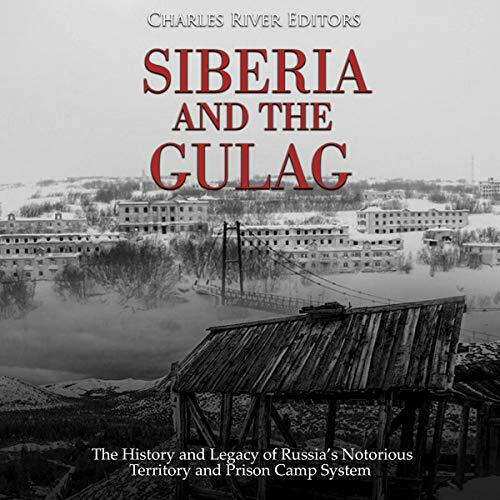 Siberia and the Gulag: The History and Legacy of Russia’s Most Notorious Territory and Prison Camp System details the history of Siberia and the Soviet Gulag system.